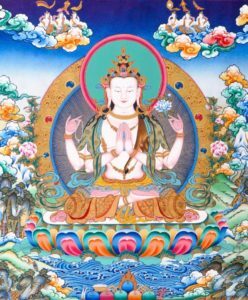 At the beginning of most sutras we find reference made to the location of the particular teaching, to who and, possibly, how many gathered to hear the teaching. Those who gathered and listened to the Buddha were the first Sangha, the assembly of disciples who practiced what he taught. Without them, there would have been no teaching. 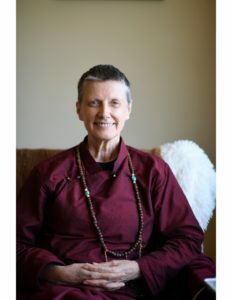 There are two types of Sangha: the Arya Sangha or the Noble Assembly of Bodhisattvas and Arhats, the third of the Three Jewels in which we take refuge every day; and the Sangha of ordinary people, monks and nuns who have not yet reached these stages of realization but who are practicing on the path. Of course, the sangha of ordinary people is the one we are part of today. Its importance cannot be emphasized enough. 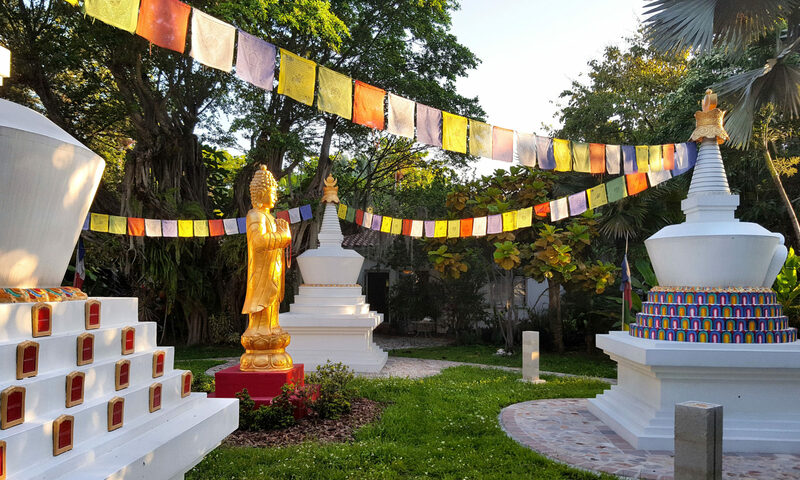 When I first began teaching in South Florida, there was no sangha here. A few people gathered once a week, seldom the same people, and often teachings were given at the beach because there was no other place for us to meet. Everything that has developed since could not have happened without people who made the commitment to learn and to try their best to practice the ways of virtue as taught by the Buddha. As our sangha has developed, many changes have occurred, some of which came about due to members’ negative responses to various situations. We all have been a little spoiled by living in such a rich country and we have quite an “attitude.” We have definite likes and dislikes and very little patience. We are used to criticizing others at the drop of a hat and have little training in being supportive. We come to the Dharma with great attachment to our opinions and our ways, not realizing that living “our way” has only led to suffering. What is wonderful is that we have come to the Dharma to learn how to transform our own negativities and have a positive perspective. That takes time, and while we are working on it we will make mistakes. But we must try to work on our attitude towards each other with great sincerity and daily remember our commitment to the teachings of compassion and selflessness. It is difficult to keep that commitment in the midst of hard work requiring skill in communication to avoid misunderstanding. It is also difficult to practice patience for the first time in situations when we normally would simply walk out. 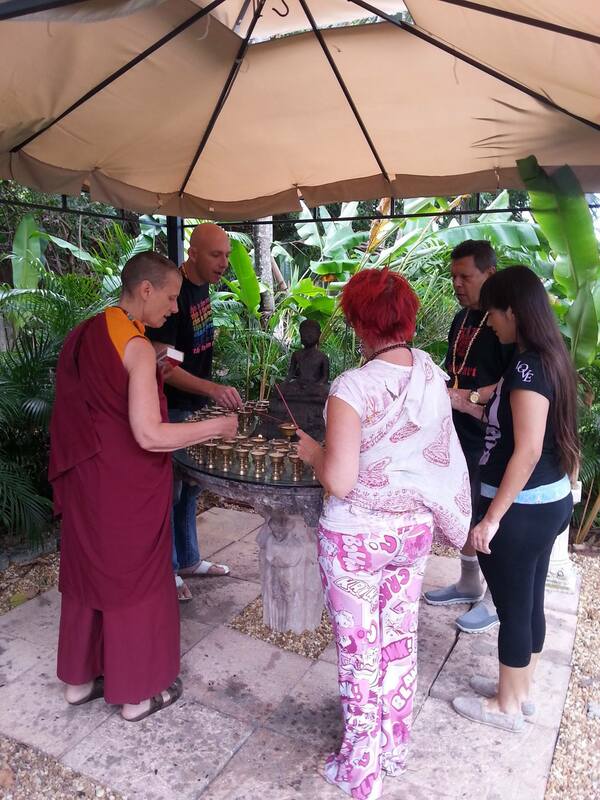 But within the sangha, members are forming relationships that last for lifetimes. This is not an ordinary situation and calls for extraordinary respect for those who are trying to accomplish just what you are trying to accomplish. So this is not the place to express anger, impatience, jealousy or disrespect. Whenever you need to reinforce the respect and care we want to give one another, look at the many things we accomplish just because we are a group. 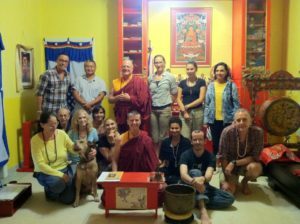 For one thing, if it weren’t for other sangha members you would not be able to receive teachings as there would be no support for a resident teacher or for visiting lamas. It would also be very difficult to run a center all by oneself. But besides many obvious physical/financial reasons, there is the more elusive reason for the importance of the sangha — support for the practice of Dharma. When we meditate as a group it is more powerful than when we meditate on our own. We are more diligent, more focused when together, allowing for longer periods of deeper concentration. As with the butterlamps we offer every week, to offer just one lamp is not as powerful as offering 100 lamps all together. Together the light is stronger, the heat more intense, the effect more striking and longer lasting. So now we are all part of a tradition that spans over 2,500 years, a tradition of people coming together in harmony to practice what the Buddha taught in order to relieve the suffering of all sentient beings. We are gendun, we are going after virtue, and we should find only the greatest joy in accompanying one another on this path.